Experience rich culture, history, southern hospitality, and a TOP 16 TRAVEL DESTINATION by Forbes! Nashville, TN is a great place for country music lovers and everyone alike. Whether you’re a “first-timer”, a music lover, a foodie, an arts & culture lover, a nature lover or a shopper, there’s something for everyone. Nashville is filled with exciting attractions and events that are a must-see from morning until night. The best way to be able to experience every single attraction is by staying at the affordable Red Roof PLUS+ Nashville Airport. When visiting Nashville, a trip to the Opry is a must! 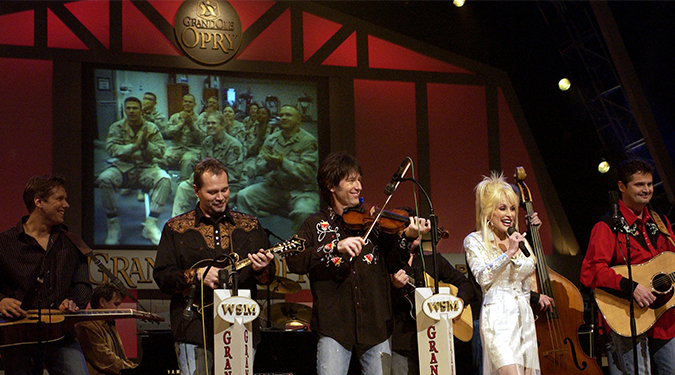 The Grand Ole Opry is a weekly country-music stage concert, which has presented the biggest stars of that genre. See a show while you’re in town! We’re just 7 miles away. Check out the new exhibits at the Country Music Hall of Fame Museum, including Eric Church! The Nashville Zoo at Grassmere is just 8 miles away. Come here and see all of your favorite animals and check out the calendar for year round events. The natural beauty of the Cumberland continues as one travels the winding river past huge bluffs and the many tributaries that offer safe anchorage and remoteness. Enjoy beautiful walkways or bike paths along the river. Nissan Stadium is home to the NFL Tennessee Titans, come check out a home game during football season. Check out other year round events at the stadium while you are in town! Join BIG names (Sheryl Crow, Kellie Pickler!) and take over the streets of Music City during the St. Jude Rock ‘n’ Roll Nashville Marathon or 1/2 Marathon! Named a BUCKET LIST race by Runner’s World Magazine. More than a race, it’s a health & fitness expo, live music, unforgettable sights, and an awesome medal. April 29, 2017! Schermerhorn Symphony Center! Upcoming Concerts include: Respighi’s Pines of Rome Feb. 10th – 11th, and MORE. TPAC: upcoming shows include Sound of Music February 14-19. Just 7 mi away. The Parthenon stands proudly as the centerpiece of Centennial Park, Nashville’s premier urban park. Visit the full scale replica of The Parthenon in Nashville, TN. Less than 10 miles away. The Parthenon also serves as Nashville’s art museum. Visit the Nashville Fairgrounds only 7 miles away from Red Roof! From fairs to pet shows to sporting events, there is always something exciting going on at the Fairgrounds! Check out upcoming events here. Looking to explore your inner country side? Head down to Broadway (7.8 miles) and check out all of Nashville’s finest boot stores including – Broadway Boots Company, Boots Country, Big Time Boots, & more! The Ryman Auditorium launches their 125th anniversary celebration with Little Big Town in residency for 6 shows! See the superstars take the stage at the Mother Church of Country Music in 2017. Book Your Stay for February 24th & 25th, May 19th & 20th or September 15th & 16th. Planning a visit to Vanderbilt University to explore campus, attend a meeting, visit a family member, or go to a sporting event? Stay close-by. 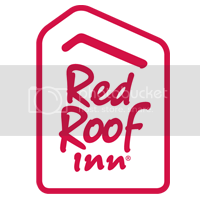 Red Roof PLUS+ Nashville Airport features newly renoved rooms and Premium Rooms with breakfast and a snack ready in your room! Experience a relaxed room with free Verified WiFi, a flat screen TV, spa-like vessel sinks & showers, wood-like flooring, and more! Heading to or coming from the Nashville Airport? Well, we’re right next door and have a free shuttle service from 6am to 10pm. Book Now.